In shifting their focus to interest rates, forex traders have perhaps overlooked one very important monetary policy event: the conclusion of the Fed’s quantitative easing program. By the end of June, the Fed will have added $600 Billion (mostly in US Treasury Securities) to its reserves, and must decide how next to proceed. Naturally, everyone seems to have a different opinion, regarding both the Fed’s next move and the accompanying impact on financial markets. The jury is still out on whether QE2 was a success. On the one hand, US GDP growth continues to gather force, and should come in around 3% for the year. A handful of leading indicators are also ticking up, while unemployment may have peaked. On the other hand, actual and forecast inflation are rising (though it’s not clear how much of that is due to QE2 and how much is due to other factors). 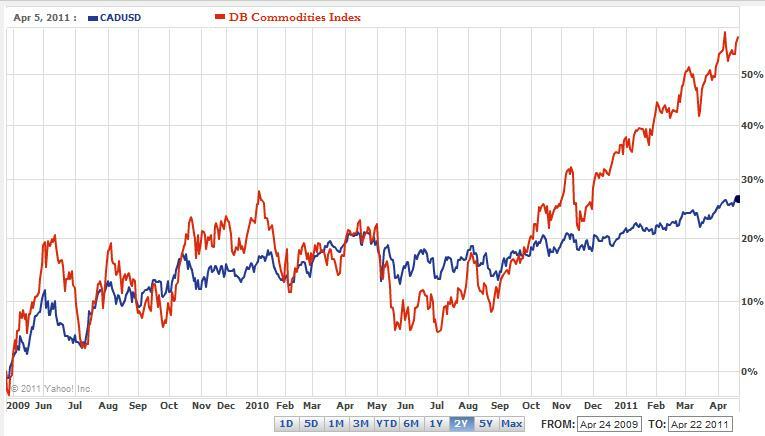 Stock and commodities prices have risen, while bond prices have fallen. Other countries have been quick to lambaste QE2 (including most recently, Vladimir Putin) for its perceived role in inflating asset bubbles around the world and fomenting the currency wars. Personally, I think that the Fed deserves some credit- or at least doesn’t deserve so much blame. If you believe that asset price inflation is being driven by the Fed, it doesn’t really make sense to blame it for consumer and producer price inflation. If you believe that price inflation is the Fed’s fault, however, then you must similarly acknowledge its impact on economic growth. In other words, if you accept the notion that QE2 funds have trickled down into the economy (rather than being used entirely for financial speculation), it’s only fair to give the Fed credit for the positive implications of this and not just the negative ones. But I digress. The more important questions are: what will the Fed do next, and how will the markets respond. 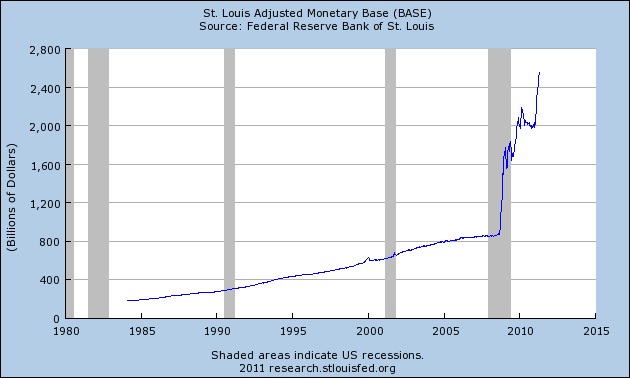 The consensus seems to be that QE2 will not be followed by QE3, but that the Fed will not yet take steps to unwind QE2. Ben Bernanke echoed this sentiment during today’s inaugural press conference: “The next step is to stop reinvesting the maturing securities, a move that ‘does constitute a policy tightening.’ ” This is ultimately a much bigger step, and one that Chairman Bernanke will not yet commit. As for how the markets will react, opinions really start to diverge. Bill Gross, who manages the world’s biggest bond fund, has been an outspoken critic of QE2 and believes that the Treasury market will collapse when the Fed ends its involvement. His firm, PIMCO, has released a widely-read report that accuses the Fed of distracting investors with “donuts” and compares its monetary policy to a giant Ponzi scheme. 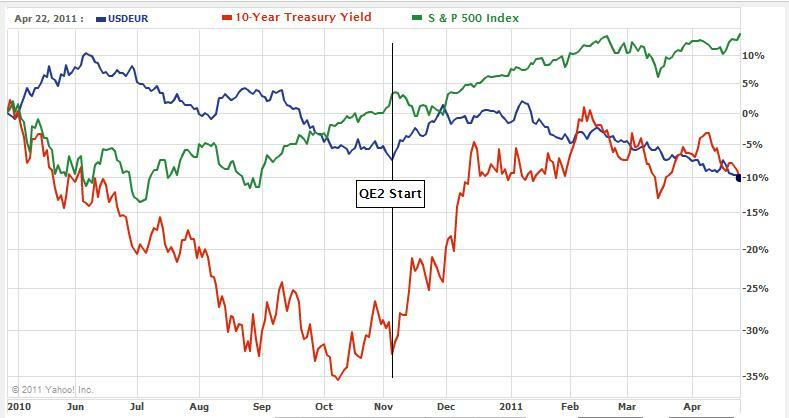 However, the report is filled with red herring charts and doesn’t ultimately make any attempt to account for the fact that Treasury rates have fallen dramatically (the opposite of what would otherwise be expected) since the Fed first unveiled QE2. The report also concedes that, “The cost associated with the end of QEII therefore appears to be mostly factored into forward rates.” This is exactly what Bernanke told reporters today: “It’s [the end of QE2] ‘unlikely’ to have significant effects on financial markets or the economy…because you and the markets already know about it.” In other words, financial armmagedon is less likely when the markets have advanced knowledge and the ability to adjust. If anything, some investors who were initially crowded-out of the bond markets might be tempted to return, cushioning the Fed’s exit. Over the last year and increasingly over the last few months, Central Banks around the world have taken center stage in currency markets. First, came the ignition of the currency war and the consequent volley of forex interventions. 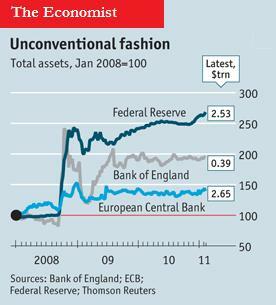 Then came the prospect of monetary tightening and the unwinding of quantitative easing measures. As if that wasn’t enough to keep them busy, Central Banks have been forced to assume more prominent roles in regulating financial markets and drafting economic policy. With so much to do, perhaps it’s no wonder that Jean-Claude Trichet, head of the ECB, will leave his post at the end of this year! The currency wars may have subsided, but they haven’t ended. On both a paired and trade-weighted basis, the Dollar is declining rapidly. As a result, emerging market Central Banks are still doing everything they can to protect their respective currencies from rapid appreciation. As I’ve written in earlier posts, most Latin American and Asian Central Banks have already announced targeted strategies, and many intervene in forex markets on a daily basis. If the Japanese Yen continues to appreciate, you can bet the Bank of Japan (perhaps aided by the G7) will quickly jump back in. 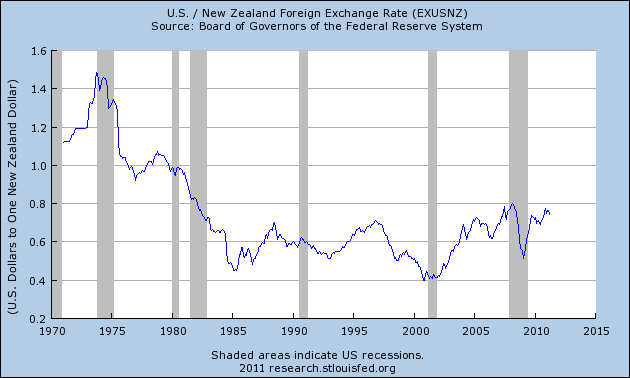 You can expect the currency wars to continue until the quantitative easing programs instituted by the G4 are withdrawn. The Fed’s $600 Billion Treasury bond buying program officially ends in June, at which point its balance sheet will near $3 Trillion. The European Central Bank has injected an equally large hunk of cash into the Eurozone economy. Despite inflation that may soon exceed 5%, the Bank of England voted not to sell its cache of QE assets, while the Bank of Japan is actually ratcheting up its program as a result of the earthquake-induced catastrophe. Whether or not this manifests itself in higher inflation, investors have signaled their distaste by bidding up the price of gold to a new record high. 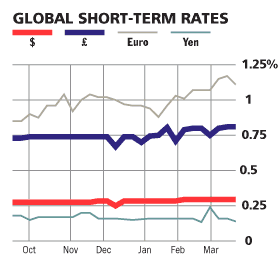 Then there are the prospective rate hikes, cascading across the world. Last week, the European Central Bank became the first in the G4 to hike rates (though market rates have hardly budged). The Reserve Bank of Australia, however, was the first of the majors to hike rates. Since October 2009, it has raised its benchmark by 175 basis points; its 4.75% cash rate is easily the highest in the industrialized world. The Bank of Canada started hiking in June 2010, but has kept its benchmark on hold at 1% since September. The Reserve Bank of New Zealand lowered its benchmark to a record low 2.5% as a result of serious earthquakes and economic weakness. Going forward, expectations are for all Central Banks to continue (or begin) hiking rates at a gradual pace over the next couple years. 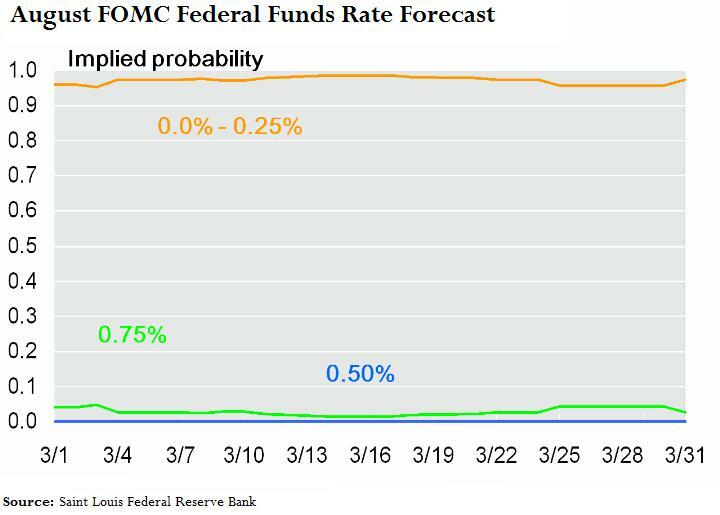 If forecasts prove to be accurate, the US Federal Funds Rate will stand around .5% at the beginning of 2012, tied with Switzerland, and ahead of only Japan. 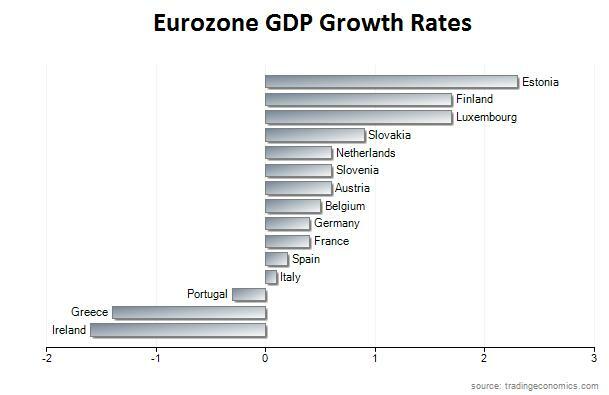 The UK Rate will stand slightly above 1%, while the Eurozone and Canadian benchmarks will be closer to 2%. The RBA cash rate should exceed 5%. 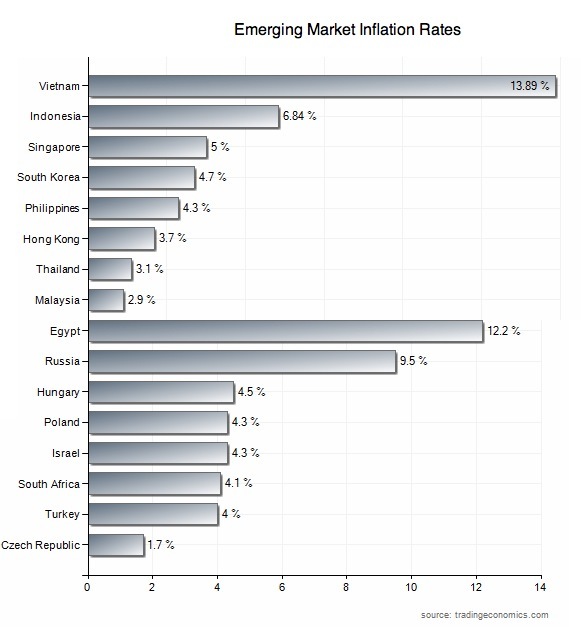 Rates in emerging markets will probably be even higher, as all four BRIC countries (Russia, Brazil, China, India) should be well into the tightening cycles. On the one hand, there is reason to believe that the pace of rate hikes will be slower than expected. Economic growth remains tepid across the industrialized world, and Central Banks are wary about spooking their economies with premature rate hikes. Besides, Fed watchers may have learned a lesson as a result of a brief bout of over-excitement in 2010 that ultimately led to nothing. The Economist has reported that, “Markets habitually assign too much weight to the hawks, however. The real power at the Fed rests with its leaders…At present they are sanguine about inflation and worried about unemployment, which means a rate rise this year is unlikely.” Even the ECB disappointed traders by (deliberately) adopting a soft stance in the press release that accompanied its recent rate hike. 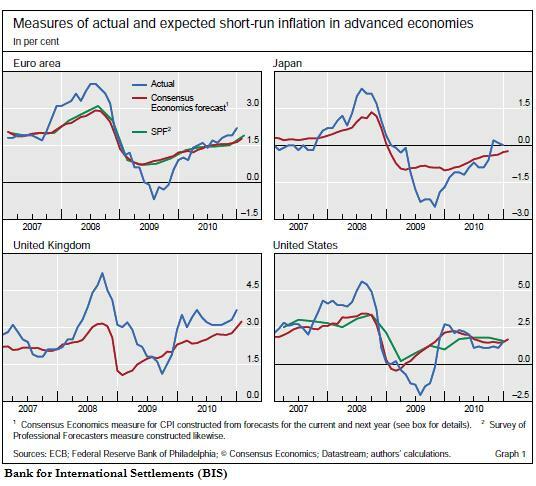 On the other hand, a recent paper published by the Bank for International Settlements (BIS) showed that the markets’ track record of forecasting inflation is weak. As you can see from the chart below, they tend to reflect the general trend in inflation, but underestimate when the direction changes suddenly. (This is perhaps similar to the “fat-tail” problem, whereby extreme aberrations in asset price returns are poorly accounted for in financial models). If you apply this to the current economic environment, it suggests that inflation will probably be much higher-than-expected, and Central Banks will be forced to compensate by hiking rates a faster pace. Finally, in their newfound roles as economic policymakers, Central Banks are increasingly engaged in macroprudential policy. The Economist reports that, “Central banks and regulators in emerging economies have already imposed a host of measures to cool property prices and capital inflows.” These measures are worth watching because their chief aim is to indirectly reduce inflation. If they are successful, it will limit the need for interest rate hikes and reduce upward pressure on their currencies. In short, given the enhanced ability of Central Banks to dictate exchange rates, traders with long-term outlooks may need to adjust their strategies accordingly. That means not only knowing who is expected to raise interest rates – as well as when and by how much – but also monitoring the use of their other tools, such as balance sheet expansion, efforts to cool asset price bubbles, and deliberate manipulation of exchange rates. At this point, it’s cliche to point to the so-called data deluge. While once there was too little data, now there is clearly too much, and that is no less true when it comes to data that is relevant to the forex markets. In theory, all data should be moving in the same direction. Or perhaps another way of expressing that idea would be to say that all data should tell a similar story, only from different angles. In reality, we know that’s not the case, and besides, one can usually engage in the reverse scientific method to find some data to support any hypothesis. If we are serious about finding the truth and not about proving a point, then, the question is: Which data should we be looking at? I think the quarterly Bank of International Settlements (BIS) report is a good place to start. The report is not only a great-read for data junkies, but also represents a great snapshot of the current financial and economic state of the world. It’s all macro-level data, so there’s no question of topicality. (If anything, one could argue that the scope is too broad, since data is broken down no further than US, UK, EU, and Rest of World). The best part is that all of the raw data has already been organized and packaged, and the output is clearly presented and ready for interpretation. Anyway, the stock market rally that began in 2010 has showed no signs of slowing down in 2011, with the US firmly leading the rest of the world. As is usually the case, this has corresponded with an outflow of cash from bond markets and a steady rise in long-term interest rates. However, emerging market equity and bond returns have started to flag, and as a result, the flow of capital into emerging markets has reversed after a record 2010. Without delving any deeper, the implication is clear: after 2+ years of weakness, developed world economies are now roaring back, while growth in emerging markets might be slowing. Economic growth, combined with soaring commodities prices, is already producing inflation. (See my previous post for more on this subject). However, the markets expect that the ECB, BoE, and Fed (in that order) will all raise interest rates over the next two years. 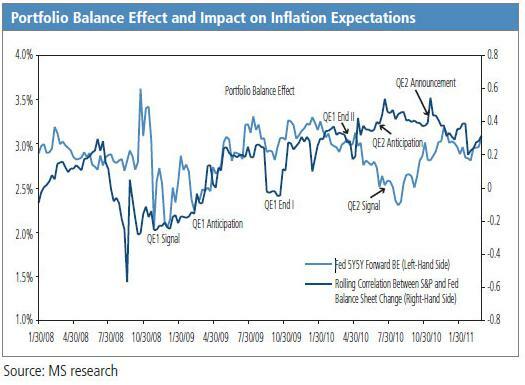 As a result, while investors expect inflation to rise over the next decade, they believe it will be contained by tighter monetary policy and moderate around 2-3% in industrialized countries. The picture for emerging market economies is slightly less optimistic, however. If you accept the BIS’s use of China, India, and Brazil as representative of emerging markets as a whole, rising interest rates will help them avoid hyperinflation, but significant price inflation is still to be expected. I wonder then if the pickup in cross-border lending over this quarter won’t slow down due to expectations of diminishing real returns. Any sudden optimism in the Dollar and Euro (and the Pound, to a lesser extent) must be tempered, however, by their serious fiscal problems and consequent volatility. As a result of the credit crisis (and pre-existing trends), government debt has risen substantially over the last three years, topping 100% of GDP for the US and 200% of GDP for Japan. Credit default swap rates (which represent the markets’ attempt to gauge the probability of default) have risen across the board. To date, gains have been highest for “fringe” countries, but regression analysis suggests that rates for pillar economies need to rise proportionately to account for the the bigger debt burden. 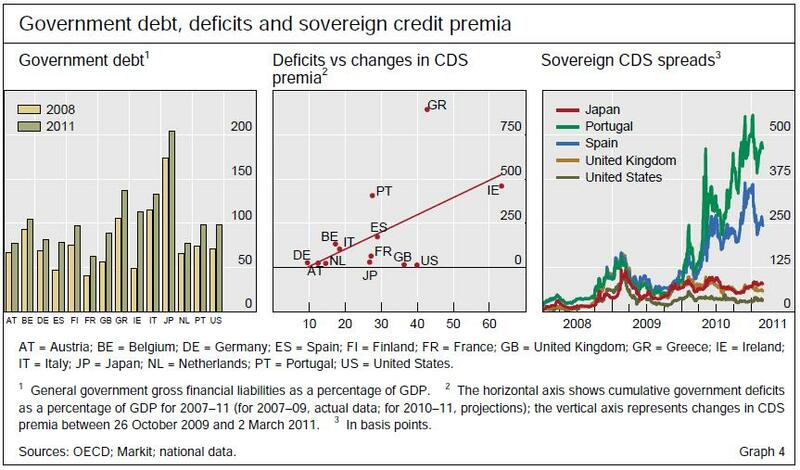 According to a BIS analysis, US and UK banks are very exposed to Eurozone credit risk, which means a default by one of the PIGS would reverberate around the western world. While I worry that such a basic analysis makes me appear shallow, I stand by this “20,000 foot” approach, with the caveat that it can only be used to make extremely general conclusions. (More specific conclusions naturally demand more specific data analysis!) They are that industrialized currencies (led by the Dollar and perhaps the Euro) might stage a comeback in 2011, due to stronger economic growth and higher interest rates. While GDP growth and interest rates will undoubtedly be higher in emerging markets, investors were extremely aggressive in pricing this in. An adjustment in theoretical models naturally demands a correction in actual emerging market exchange rates! Propelled by economic recovery and the recent Mideast political turmoil, oil prices have firmly shaken off any lingering credit crisis weakness, and are headed towards a record high. Moreover, analysts are warning that due to certain fundamental changes to the global economy, prices will almost certainly remain high for the foreseeable future. The same goes for commodities. Whether directly or indirectly, the implications for forex market will be significant. First of all, there is a direct impact on trade, and hence on the demand for particular currencies. Norway, Russia, Saudia Arabia, and a dozen other countries are witnessing record capital inflow expanding current account surpluses. If not for the fact that many of these countries peg their currencies to the Dollar and/or seem to suffer from myriad other issues, there currencies would almost surely appreciate. 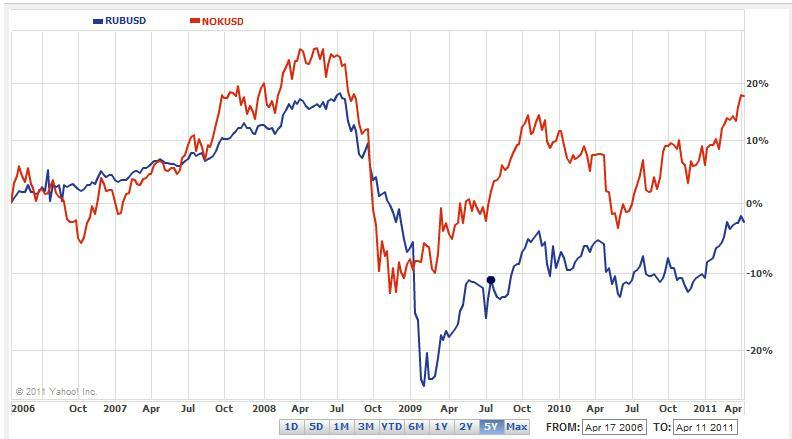 In fact, the Russian Rouble and Norwegian Krona have both begun to rise in recent months. 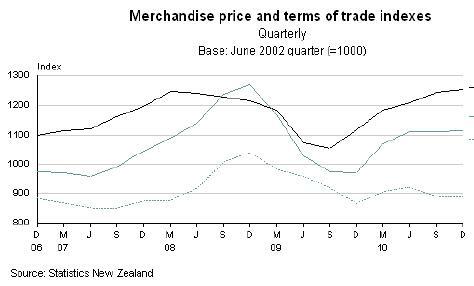 On the other hand, Canada and Australia (and to a lesser extent, New Zealand) are experiencing rising trade deficits, which shows that their is not an automatic relationship between rising commodity prices and commodity currency strength. Those countries that are net energy importers could experience some weakness in their currencies, as trade balances move against them. In fact, China just recorded its first quarterly trade deficit in seven years. Instead of viewing this in terms of a shift in economic structure, economists need to understand that this is due in no small part to rising raw materials prices. 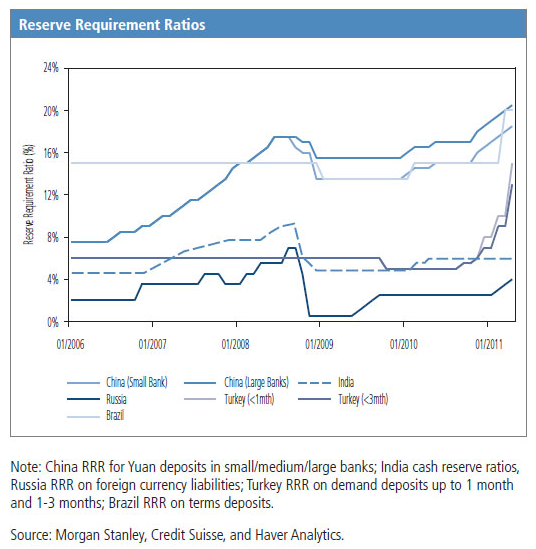 Either way, the People’s Bank of China (PBOC) will probably tighten control over the appreciation of the Chinese Yuan. Meanwhile, the nuclear crisis in Japan is almost certainly going to decrease interest in nuclear power, especially in the short-term. This will cause oil and natural gas prices to rise even further, and magnify the impact on global trade imbalances. 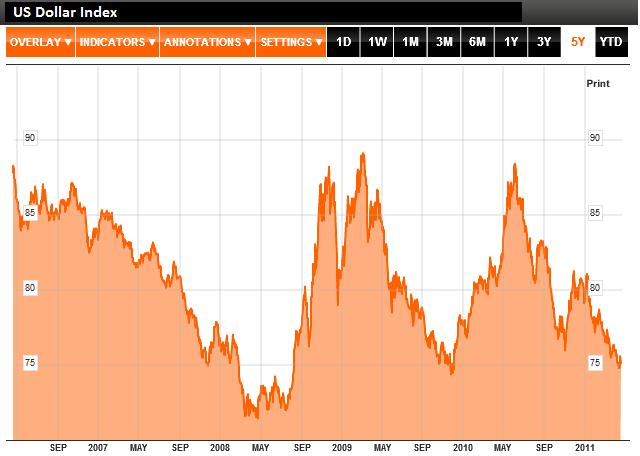 A bigger issue is whether rising commodities prices will spur inflation. With the notable exception of the Fed, all of the world’s Central Banks have now voiced concerns over energy prices. The European Central Bank (ECB), has gone so far as to preemptively raise its benchmark interest rate, even though Eurozone inflation is still quite low. In light of his spectacular failure to anticipate the housing crisis, Fed Chairman Ben Bernanke is being careful not to offer unambiguous views on the impact of high oil prices. Thus, he has warned that it could translate into decreased GDP growth and higher prices for consumers, but he has stopped short of labeling it a serious threat. On the one hand, the US economy is undergone some significant structural changes since the last energy crisis, which could mitigate the impact of sustained high prices. “The energy intensity of the U.S. economy — that is, the energy required to produce $1 of GDP — has fallen by 50% since then as manufacturing has moved overseas or become more efficient. Also, the price of natural gas today has stayed low; in the past, oil and gas moved in tandem. And finally, ‘we’re closer to alternative sources of energy for our transportation,’ ” summarized Wharton Finance Professor Jeremy Siegal. From this standpoint, it’s understandable that every $10 increase in the price of oil causes GDP to drop by only .25%. Even if stagflation can be avoided, some degree of inflation seems inevitable. In fact, US CPI is now 2.7%, the highest level in 18 months and rising. It is similarly 2.7% in the Eurozone and Australia, where both Central Banks have started to become more aggressive about tightening monetary policy. In the end, no country will be spared from inflation if commodity prices remain high; the only difference will be one of extent. Over the near-term, much depends on what happens in the Middle East, since an abatement in political tensions would cause energy prices to ease. Over the medium-term, the focus will be on Central Banks, to see if/how they deal with rising inflation. Will they raise interest rates and withdraw liquidity, or will they wait to act for fear of inhibiting economic recovery? Over the long-term, the pivotal issue is whether economies (especially China) can become less energy intensive or more diversified in their energy consumption. 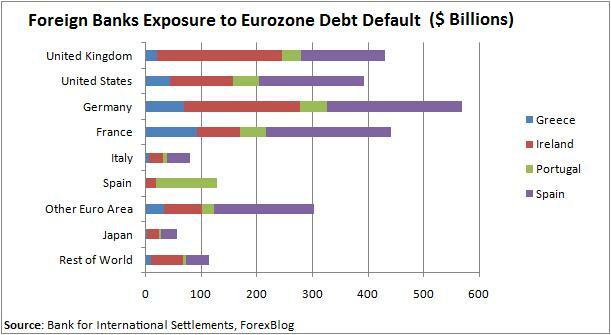 At the moment, most economies are dangerously exposed, with China and the US topping the list. Russia, Norway, Brazil and a select few others will earn a net benefit from a boom in prices, while most others (notably Australia and Canada) are somewhere in the middle. What’s Next for the Yen? After the G7 intervened in forex markets last month, the Yen fell dramatically and bearishness spiked in line with my prediction. 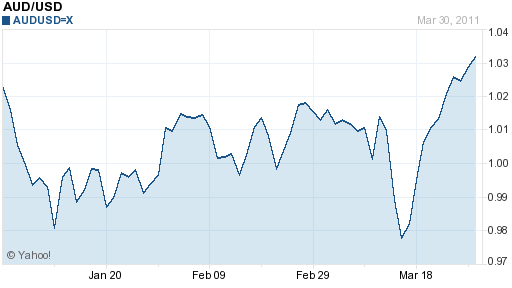 Over the last week, however, the Yen appears to have bottomed out and is now starting to claw back some its losses. 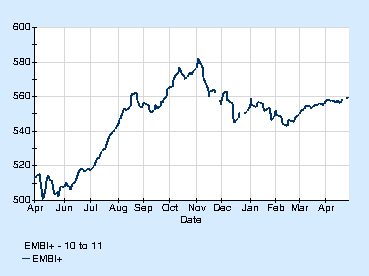 One has to wonder: is the Yen heading back towards record highs or will it peak soon and resume its decline? Some analysts have ascribed tremendous influence to the G7, since the Yen fell by a whopping 5% following its intervention. From a mathematical standpoint, however, it would be virtually impossible or the G7 to single-handedly depress the Yen. That’s because the Yen holdings of G7 Central Banks are decidedly small. For example, the Fed holds only $14 Billion in Yen-denominated assets (compared to the Bank of Japan’s $800+ Billion in Dollar assets), of which it deployed only $600 million towards the Yen intervention effort. Even if the Bank of Japan is covertly intervened (by printing money and advancing it to other Central Banks), its efforts would still pale in comparison to overall Yen exchanges. 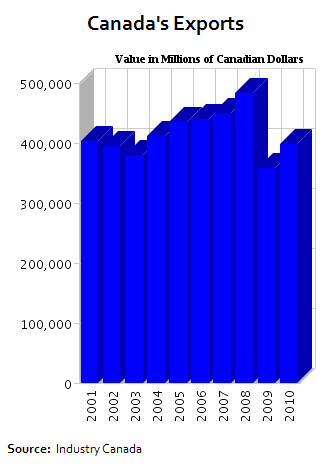 Trading in the USD/JPY pair alone accounts for an estimated $570 Billion per day. Thus, given the minuscule amounts in question, it would be unfeasible for the Central Banks alone to move the Yen. Instead, I think that speculators – which were responsible for the Yen’s spike to begin with – purposefully decided to stack their chips on the side of the G7. Given the unprecedented nature of the intervention, and the resolute way in which it was carried out, it would certainly seem foolish to bet against it in the short-term. In fact, the consensus is that, “Investors are confident that the G7 won’t let the yen go below 80 versus the dollar again.” Still, this notion implies that if speculators change their minds and are determined to bet on the Yen, the G7 will be virtually powerless to block their efforts. 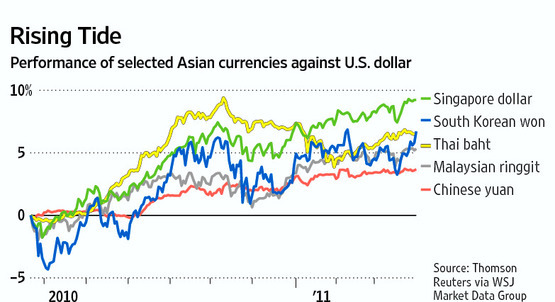 For now, speculators lack any reason to bet on the Yen. Aside from the persistent financial uncertainty that has buttressed the Yen since the the 2008 credit crisis, almost all other forces are Yen-negative. First, the crisis in Japan has yet to abate, with this week bringing a fresh aftershock and an upgrading of the seriousness of the nuclear situation. The hit to GDP will be significant, and a chunk of stock market equity has been permanently destroyed. Thus, foreign institutional interest in Yen assets – which initially surged as investors swooped in following the 20% drop in the Nikkei 225 average – has probably peaked. The Bank of Japan will probably continue to flood the markets with Yen, and the government of Japan will need to issue a large amount of debt in order to pay for the rebuilding effort. Given Japan’s already weak fiscal situation, it seems unlikely that it can count on foreign sources of funding. It’s certainly possible that investors will take profits from the the Yen’s fall, and in fact, the recent correction suggests that this is already taking place. However, the markets will almost certainly remain wary of pushing things too far, lest they trigger another G7 intervention. In this way, Yen weakness should become self-fulfilling, since speculators can short with the confidence that another squeeze is unlikely, and simply sit back and collect interest. Today, we bring you an interview with Mike Kulej of FXMadness. Mike has been trading securities since 1989. 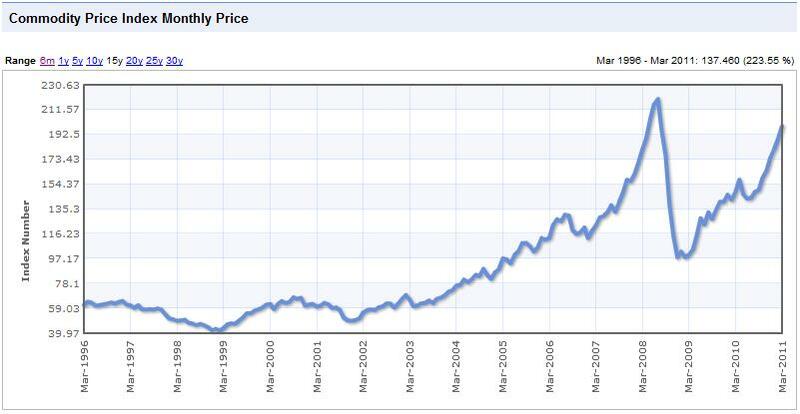 From 2001 to present, the vast majority of his activity has been concentrated on Forex markets. Currently he is a Chief Forex Strategist for Spectrum Forex LLC, a currency consulting and advisory company. He resides in Seattle, Washington. Below, Mike shares his thoughts about the effectiveness of technical analysis, volatility, leverage, and more! Today, we bring you an interview with Ben Wong (Head of Trading Strategies) and Yan Tse (Head of Research) at Action Forex, a forex information portal. I chatted with them about upcoming Central Bank rate hikes, economic indicators, and their intriguing Trading Ideas. Retail Forex: Lower Corporate Profits = Lower Spreads for Traders? In December 2010, both GAIN Capital and FXCM became public companies. This was thought both to signal the maturing of an industry and to herald the start of a period of explosive growth. Since then, the share prices for both companies have fallen dramatically, even while the S&P 500 has continued to rise. Trading volume has remained flat, and revenues have declined. As a result, analysts (myself included) are starting to question not only the operations of these two firms, but also of the entire industry. Before we jump to conclusions, it’s important to understand the basis for this sudden aura of uncertainty . First of all, both firms – as well as the broader forex industry – have found themselves the subject of increased regulatory scrutiny, and consequent disciplinary action. Second, trading volume has been impacted by an uptick in volatility. Third, an increase in institutional trading volume has not translated into a proportional increase in revenues/profits. Fourth, the recent tightening of leverage rules (which may be helping traders!) has eroded a large profit center. Finally, high account turnover suggests that the brokers will eventually run out of customers. I don’t want to dwell on the industry’s regulatory travails (since I have blogged about it before), except to say that I think it’s a good thing. It will bring greater transparency, and generally make trading safer and cheaper. For more information on the specific allegations and (potential) regulatory response, the WSJ recently published an excellent overview. As for the temporary decline in retail trading volume, this is probably temporary. 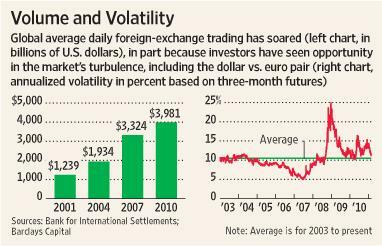 Overall forex volume has tripled over the last decade, and it is forecast to triple again over the coming decade. In addition, the mainstreaming of currency trading will spur millions of investors to at least dabble on forex. Unfortunately, this will probably be offset by a decline in trading activity by existing customers, as the majority come to terms with the difficulty of profiting through high-volume/high-leverage trading. Furthermore, increased volume will combine with increased competition to facilitate lower spreads. According to a recent report by LeapRate, GAIN Capital now earns an average of only 1.7 pips per trade, a stunning drop for the 2.7 pips that it averaged during most of 2010. Basically, the same thing is now happening to forex that decimalization and computerization brought to bear on stocks. If hedge funds and other institutional traders continue to enter the market en masse, spreads will be arbitraged away to the point that 1-2 pips (or even smaller!) should become the norm for all major currency pairs. In short, retail forex traders should applaud the decline in stock prices. After all, what’s good for traders is probably going to be bad for business. Liquidity is increasing, and spreads are falling. Enhanced regulation is eliminating shadowy sources of profit and will make trading more secure. The only thing left to hope for is that all forex brokers go public, and open up their books to the same level of scrutiny as GAIN Capital and FXCM. Can the Australian Dollar Hold on to Record Gains? The volatility of the last couple weeks has manifested itself in some unbelievable outcomes. 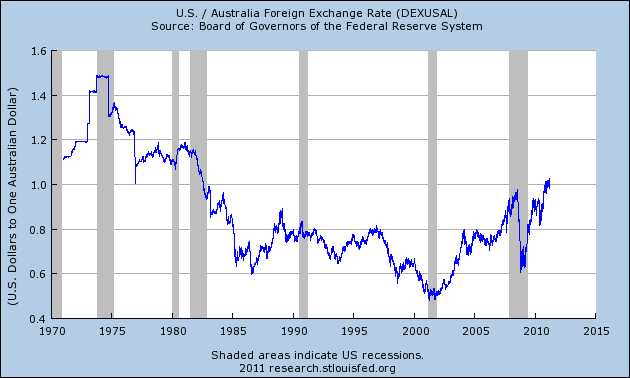 In this post, I want to focus specifically on the Australian Dollar. When the Japanese disasters struck, the Aussie immediately tanked, as investors jettisoned risk and moved towards safe haven currencies. 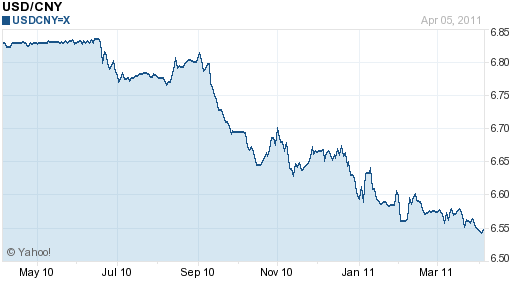 Only days later, it inexplicably rose 5%, en route to parity and a 28-year high against the US Dollar. The question is: will the Aussie hold on to these gains, or will it return to earth as soon as the markets come to terms with the misalignment with fundamentals? The Australian Dollar remains buoyant largely because of interest rate differentials. Basically, Australia boasts the highest benchmark interest rates (4.75%) in the industrialized world, and investors are betting that it will rise further, perhaps to 5.5% by the end of 2011 and even higher in 2012. Given that the other G7 Central Banks probably won’t hike for a couple more quarters – and even then, rate hikes will be gradual and restrained – it’s only natural that yield seekers are flocking to the Aussie. However, it seems possible that the markets have gotten ahead of themselves in presuming an airtight case for further rate hikes. While Australian inflation is somewhat high (2.7%), it has actually moderated slightly over the last six months. In addition, the rising Australian Dollar will help to mitigate inflation and hence make it less likely that the Reserve Bank of Australia (RBA) will hike rates. (How ironic that the markets’ bet on higher interest rates in Australia actually makes it less likely that those rate hikes will actually take place!). Moreover, the domestic Australian economy isn’t performing as well as some people think. It is true that an investment boom in mining and a surge in commodities prices have provided an economic windfall. 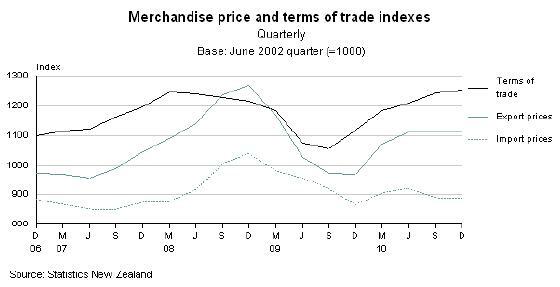 On the other hand, the strong Aussie has undermined strength in the manufacturing sector, the housing market is poised for correction, and the summer flooding will crimp at least .5% from 2011 GDP. In fact, not only is it not guaranteed that the RBA will hike rates, but some analysts think it’s possible that the RBA will cut its benchmark cash rate before the end of the year. 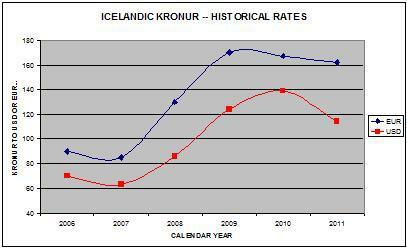 At the very least, analysts need to double check their assumptions and re-jigger their interest rates models. Given that the Australian Dollar is primarily being supported by expectations for higher interest rates, that also means that investors to scale back their forecasts for the Australian Dollar. 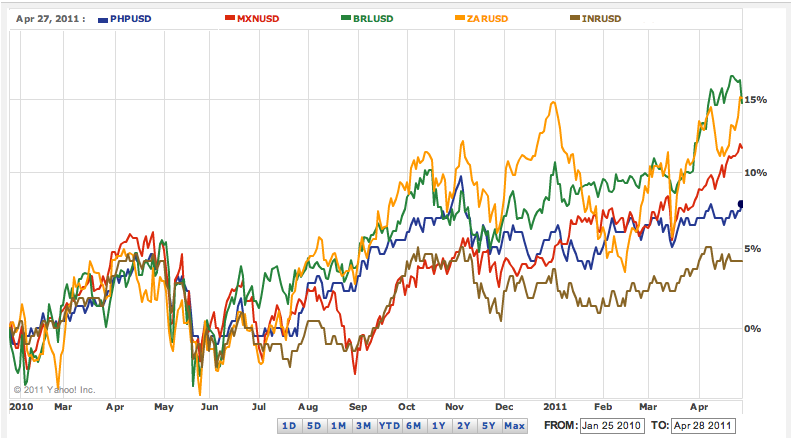 Personally, I think that a bubble is beginning to form in currency markets, at least in certain corners of it. Due to commodity prices and relatively high interest rates, the Aussie is certainly one of the more attractive major currencies at the moment. At that same time, that it has risen so fast in the last few years – and especially in the last few weeks – strikes me as fundamentally illogical. At this point, its rise has become self-fulfilling; investors want it to rise, and so it does. At this point, there are two possibilities. Either the markets will wait for fundamentals to catch up with the Aussie, and it will hover around parity or appreciate slightly, or investors will recognize that it has appreciated too much too fast, and its correction will become one of the major events in forex markets in 2011.